This topic is the follow on to the first Wish-list for MATLAB Answer sections and second MATLAB Answers Wish-list #2 (and bug reports). Those grew large enough to become unwieldy; and Mathworks has made enough changes to make a number of the past points no longer of relevance. More recently there was the limited purpose New design of the forum - grey on white which turned into a bug and wish list; I have renamed that for continuity. Then when you click on "Questions", those that are "unread" are at the top of the queue. And you can mark them unread if you want to come back to them later. I have a hard time keeping track otherwise, especially if I leave for an extended period of time. However, that will find all jon as it is a substring search on the contributor name. It is a bit more effective on names that are more distinctive. This number has nothing obvious to do with your Author number, and I do not as yet find a way to search by author number. And if you wanted to search on your Questions you would need a differerent id number yet. The only way to find those numbers is to left-click on a link to you and let it pop up the small summary about you, and then go and hover above the link to your Questions or Answers and read off the URL to discover the ID. Or click on the link and then read the tag out of the search box on the resulting page. Yes, this could be made easier! I am the only roberson around so it is easy for me to search for my own material, but you might have some difficulty if you searched by name. A couple of months ago, Mathworks implemented "Activity Feed". If you look under "My MATLAB Answers", it is the first entry. Notification is only for Questions that you are "subscribed" to. There is a configuration option to determine whether by default you want to subscribe to any question that you ask or answer or comment on. You can always toggle any given question on or off -- including toggling notifications on for a Question you have not responded to at all. The subscriptions are not back-dated for anything you answered or commented on in the past, but it looks like they might have been turned on by default for any Question you asked. Again the complaint of excessive white space (futile, I know :( ). Maybe it would be a good idea to ask for a confirmation before allowing users to answer their own question. Many people mistakenly use the answer field, which results in weird threads and a lot of talking about not-the-problem (and maybe a bit of frustration). I think requiring a few reputation points before being able to answer your own question would be a bit harsh, but it would be alternative. The main downside to the first option would be that people who don't understand the structure, will probably not read a warning popup. I think that's an excellent idea. The number of times people truly answer their own question is like less than a tenth the times where they add an answer that should have really been a comment to someone else's answer. And, I already voted +1, but I'd suggest the "confirmation" be "NO" by default and be specifically worded such as to make clear it's a comment unless and only unless it fully actually answers the question. (Answers dev) Thanks for the feedback! As I've suggested elsewhere, another option is to give editors the ability to move posts between answers and comment and even to promote comments as new questions. I wish the ability to Delete or Close a Q? while someone is preparing an Answer could be disabled -- several times I have just finished a detailed response to a Q? and go to post and discover the Q? is no longer visible. It's really frustrating. If the poster subsequently chooses to delete or some other editor thinks inappropriate or whatever, well, ok, I can accept that as being inevitable occasionally but in this case as in the others I can recall I think it was a legitimate-enough question (albeit from a naive user) that the answer/demo would be worthwhile even if the OP never came back. In cases like that, the site refuses to post but leaves your content in the buffer. I then select the content, Copy, and refresh the page. If the question was only closed instead of deleted, I then reopen, and then post the content. But if it is deleted, then I either shrug and move along or else save the code for later re-use. I sympathize. This happened to me many times actually (and especially close to mid-term periods I'd say). I ended up printing threads as PDFs before answering (as well as the OP's profile), and emailing the OP if the question was deleted or edited out (with the option to paste back the original content in the latter case). In parallel, I chose not to spend much time answering questions unless the OP had a valid identity or at least an email address with the [Contact] option enabled, and I posted a proposal somewhere for enforcing this option to be enabled. Yet it seems that it is a no-win situation, because there will always be incivilities that make us loose our time and motivation, and "holding back" our nice answers just in case kills the pleasure of answering. I am too impatient to take that much effort/time but in this particular case I did save the code as being useful at some future time. But still, there will be students using their institutional email accounts, posting, and deleting their account once they get an answer .. I do not use an institutional email address, and I am not in LinkedIn. Back to my initial logic, you have a rep over 100 (=> green) and soon 100k for Walter (and we figured out that the rep won't wrap before max int32 already). This mechanism would essentially be for evaluating new accounts with no or low rep. The flag could disappear as soon as rep > 100. Quite often the posts come from those with 0 points and probably 80% only ever appear once or twice. I'd just like to have things not disappear irregardless while working on it. @Cedric, that would be neat idea. Implementation might be quite a pain, so even if it is considered it might take some time. For the reverse we have the mvp, staff, and rising star badges, so it would be nice to also have some indication at a glance if a question is likely to be a waste of time. Sometimes you can look at the name and recognize them for low quality questions, but that doesn't filter the single-hitters. I certainly think that posters shouldn't be allowed to close or delete a question once it has been commented on and even more so if answered. People with low privileges shouldn't be allowed to close questions even if it's their own. Closing own questions is rarely useful, so I would not miss this feature. But there is obviously a need to delete own questions. This helps to reduce noise and to save the work of the answering members, when no answer is required anymore. I loose about 1 or 2 messages per week by questions closed/deleted during writing an answer. But if the OPs do not have the power to remove their questions, I'd loose much more time by creating answers, which are not needed anymore. I do not see the optimal time point, where deleting an own answer is efficient, fair and useful, so I'd prefer the current policy. Newcomers use flags often for posting comments and I've spent some time to move them to the comment section in the past. Allowing flags for Rep > 5 would be an improvement in my opinion. @dpb: A lock would be useful. But then I have less collisions with users deleting their question than with Walter, who posts a sufficient answer while I'm still typing. Implementing such a lock might be very hard. Consider, that the current database is not ACID proof: There are several threads with 2 accepted answers. Sometimes an answer posted at mathworks.com needs 10 minutes to be delivered on mathworks.de. I wouldn't try to lock edits, multiple answers aren't all necessarily bad; often they're sufficiently different approaches as to be worthwhile tutorial info. Even if they're the same or nearly so, "no harm, no foul!". If desired, a "came-in-second" responder can always delete theirs to clean up the thread if wish to at any time. I'd just have it prevent deletion/close for the duration of the edit and some period after...all the Q? I've had such an experience with are of sufficient content I don't see them as really needing deletion even if the OP were to think "what's the point?" when what he's getting is prompting rather than spoon-fed answer which is what I think happened in the specific case that (finally) prompted the request. The number of comments indicate it's obviously hit enough as to be a topic worthy of consideration for possible enhancement. My preference would be to not allow posters who don't have sufficient privileges to delete or close questions that have had a comment or answer. If they really want to question closed/deleted they can ask for it (in a comment or with a flag) and a person with enough experience can make a judgement whether or not there is nothing of value in the comments/answer and close/delete it if so. Posters can still close/delete their own questions if they've had no feedback. Yes, it doesn't solve the fact that it can happen while you're busy writing an answer. It can be frustrating but it's fairly rare. The advantage of that is that it requires no change in infrastructure. The mechanism is already implemented. When you delete a question (or an answer for that matter) that have been commented/answered, you not only delete your own content but also somebody's else content, content which they may feel is valuable. That's good point and would solve probably 95+% of the cases...and all the ones I've come across. It's not the end of the world kind of a problem but is (at least to me) really, really annoying when it does happen. I feel that there should not be any trust ratings built in to the system. I think that it is too subjective and exposes too much risk of abuse. However, sometimes it would be useful if you could attach private notes, visible only to you, to profiles. This would allow you to create an entry like "trashed questions after answer" or "asks good questions" or "knows a lot about CANBUS" for your own use. For this to be most useful, appearances of the username should be marked with a "you made notes about this person" icon. @Walter I bet some people already have a system like that on their own, but having it on this site in the first place would indeed be really useful. Walter, I'd suggest that suggestion (so to speak :) ) is worthy of its own Answer as a forum enhancement. Needed: a Ban Hammer. Or at least a Spam Hammer. So that we can flag a poster as a raw spammer and toss all their postings, past and future, into spam quarantine. Signed: the overnight spam janitor. Spamnitor? Spamitor? Spaminator? I’ve deleted a bunch of them as well recently. It’d be nice to be able to ‘freeze’ a spammer’s account to immediately prevent further postings from it, and automatically flagging it so that TMW will then take appropriate follow-up action. when answerer is working on a question and someone else posts a new comment/answer, show a popup before answerer submits a redundant answer/comment "There is a new answer/comment. Look before submitting your answer/comment?" Otherwise, people end up working on an answer, pressing submit, realizing a key answer/comment was given 1 min ago, and then deleting recent post. prevent people who ask a lot of questions but provide no feedback that the answers work from posting new questions until previous ones are resolved. Ex: "You've asked 15 questions, received 40 answers, but accepted 0 answers. To ask more questions, please accept answers or close them. If you're not getting correct answers, please read tutorial here on how to ask questions to get answers." Especially that first one is something I get a lot. I try to reduce the chance of that happening my using a slightly tweaked search and sort when going through the list of unanswered questions. and then I have to search and click on the sorting order drop-down to sort to Date Updated (Newest to Oldest) which does a page refresh. And then afterwards I have to Back twice, with the search needlessly being done again as I get back to the search results sorted by the default Relevance. When we delete a Question for spam, either by Delete with a spam flag or by clicking on This Is Spam for postings detected as probable spam then when the deletion is finished, the page is forwarded to the Answers home page. The painting of the home page requires that a time-consuming database lookup be done to find the most recent messages and present them. As it is common when doing spam control for us to have 6 to 20 Questions open in tabs (to allow the pages to paint in the background while we deal with them in sequence), that database lookup and repaint is slow and unnecessary, often adding 17+ seconds to the deletion process. I therefore recommend that when a posting is deleted for spam, that instead of going to the homepage, that it just refreshes, taking us to the "Can't find your Question?" page; we can Back or close the tab or whatever we find appropriate from there. Remember, deleting spam is not the normal work-flow for anyone but the staff and the decaSpartans (the 3000-ers ;-) ), and that when engaged in spam control the work-flow is seldom to want to see the Answers home page for each Question killed off. Thank you to the developers who made it possible to select large number of spam posts and delete them on one go! I would like power-users to have the ability to conditionally accept an Answer during the initial 7-day wait period. There have been many occasions when a Question gets answered and it is obviously worthy of accepting. The original poster may not acknowledge it, or may simply provide a comment of thanks without formally accepting it. Rather than waiting the 7 days and then spending additional time coming back to the Question to accept the answer (if it hasn't been already), I would like to have the ability to click on some type of conditional acceptance button immediately. If no additional answers are subsequently posted and no answer has been accepted then when the 7 days expires the conditional acceptance would turn into a formal acceptance automatically. If additional answers do get subsequently posted then the conditional acceptance could be automatically deleted (maybe with an e-mail notification to the power-user to re-visit the Question). An alternative would be a ‘Conditional Acceptance’ flag, so that a Comment such as ‘Thank you very much! That completely solved my problem!’ would be flagged, then those with the appropriate privilege level could check the ‘Flagged Content’ and Accept any Answers with that flag after the seven-day embargo. The problem would be in the frequent event of similar or overlapping but not identical Answers that were posted at about the same time, or two distinctly different Answers, that due to an ambiguity in the Question, would both seem to be equally ‘Acceptable’. It might be necessary to be able to Accept more than one of the appropriate Answers. I believe that it should be possible for the OP to Accept more than one Answer, if the OP wants to. That could lead to more Accepted Answers, because it would not force the OP to decide between two or more equally Acceptable Answers, especially if the OP Accepted the ‘wrong’ Answer initially. Low "accepted rate" is a big concern for us. Nice to hear discussions on this topic. I like both ideas. James' approach automates the acceptance process, while Star Strider's approach leverages existing workflow. Hope other power users can share more thoughts. Having more than one accepted Answer seems to be a neat idea. I think it's also beneficial to other members. Visitors tend to read ONLY accepted answer but other answers might also be very valuable. I would suggest we limit the maximum number of accepted answers (2,perhaps). Here are some other ideas we got from power users and our team. The landing page would be a good place to draw newcomers' awareness to accept an answer. Sometimes users want to accept multiple answers but they are limited by whatever one they happened to click on first. How about if they click any "Accept" link that a popup box comes up with a prompt that asks "Which answer(s) solved your question?" or "Which answer best solved your question?" or "Which answer did you use?" and have checkboxes with the Answerers names and they can select one or more of those? Also, some past power users seem to have drifted away. For example, look at some of the flat lines here and here. It might be good to reward people for being active by either computing reputation based on only the last 2 or 3 years, or else have some kind of weighting system where old answers are increasingly weighted less than more recent answers. That way new poser users could see their names rise to the top of the list faster and people who don't use it anymore would eventually drop off the list, and probably don't care if their name is on the list, and perhaps don't even deserve to be on the list anyway. I agree with Image Analyst on the first paragraph of his latest Comment, but not on the second. Reputation earned should be reputation kept. People here have lives, and with their lives, have other interests and obligations. (For example, Matt Fig, who also authored several useful File Exchange contributions, is according the the ‘Contributors’ page, off earning his Ph.D. at one of the finest engineering schools in the U.S. I would not penalise his Reputation status for that, since he may return when his time permits.) Also, it seems that traffic on Answers has decreased in the past few months, so some may find fewer Questions, or a lower frequency of Questions, in their areas of expertise. We all have our particular areas of interest. I suspect people show up here when their time and motivation permits. One certain way to discourage people from contributing would be to put a time filter on Reputation points. One certain way to keep talented people contributing would be to demonstrate that their efforts — even if their participation is sporadic — is rewarded with privileges appropriate to their permanent Reputation. Maybe users (or non-users) could just be hidden from the list if they went longer than 3 years without logging in, but their points remembered, so that the rest of us wouldn't see them. However if they logged in again, they could "renew" their points for another 3 years, and of course, they and all the rest of us would see them again. Just throwing out an idea to encourage newer users to "climb the list" and see their progress, while long-inactive users could still retain their spot on the list should they ever decide to participate in the community again. There is a lot of student traffic, so traffic is partly cyclical based upon the typical school year. We should expect it to rise again in the next few weeks as assignments become due near the end of the late 2015 term. My experience is that the overall traffic is rising. Over 200 questions a day is not unusual now. Those who choose to specialize in what they answer can do searches (but might miss something of interest to them), but the more generalist among us would tend to get overwhelmed . I know when I get overwhelmed here, I tend to stop trying to even read everything and tend to instead skip around and only check out and answer whatever might at first glance look interesting, in a much lower volume. Just like how in Google searches most people don't read past the first page of results, I suspect that a lot of the volunteers do not read past the first page or two of "Most Recent". It gets to be too much. I often answer questions before bed (and if I can't sleep, get up and answer more.) It is not uncommon that by the time I wander off, about 2/3 of the first "Most Recent" page are questions I have contributed to. When I wander back in the morning, 5-ish hours later, it is common that only about 3 of the first "Most Recent" page are questions I have worked on, reflecting updates from other people. It would probably be normal for most of the volunteers to see a completely different set of questions on the first page every time they visit. As the number of students using the facility increases and as courses tend to teach much the same thing, the ratio of "interesting" questions for those with expertise in other areas will tend to decrease even if the absolute number of questions they might be interested in increases. Even if the distribution is like a sum of a few normal distributions (i.e., multimodal), when traffic doubles, for specialists it might go from "finding a needle in a haystack" to "finding two needles in a haystack twice as big." One thing that I do find is that as traffic increases, so does the number of people who say "Give me code that implements this obscure paper!". I've got the "My Term Project Is Due On Tuesday" Blues. It is discouraging. I am Closing an increasing number of questions on the grounds of No Question Was Asked. It seems a bit harsh sometimes, but with there being as much traffic as there is, the volunteers don't survive long without some Boundary Setting. I do not have solutions here, but I think we are seeing burn-out, together with the more selective volunteers having difficulty finding questions of interest to them due to the volume. I should have clarified my observation about traffic. The volume may have increased, but the character of the Questions seems to have shifted toward less substantive — or less frequently substantive — content, as Walter noted. I go back through the last two or three pages every morning (covering the previous 12 hours or so), looking for Questions of interest to me and for those that have not been Answered. I keep up occasionally during the day, and check my Profile page to see if any follow-ups are needed. Afterthought — It seems that a large number of ‘Questions’ of late could easily be resolved by the four-letter quasi-expletive used years ago (and still used in the gaming community): RTFM! = Read The (Friendly) Manual! Walter is right. The traffic is cyclical. But if we trail 4 quarters(T4Q), we actually see a significant increase each quarter. In addition to file authors, I would like to be able to follow contributors on Matlab Answers, and optionally receive an email every time the chosen person asks/answers/comments. I find the e-mail notifications annoying, so I just check the activity center, but I would think following a contributor would show up there anyway. This is a very good idea. I currently have a few bookmarks that I check from time to time, but that is very prone to missing stuff. Seems excessively strict given that the "extra-x" format is now default for all MS Office products; what's the reason isn't allowed--just never added to the "allowed" list, I presume? Just had a Q? wherein the poster ran into the problem; renamed the file but didn't change the format and caused issues because of incompatible format in Excel. (Answers dev) Hi dpb, Thanks for bringing this to our attention. (Answers dev) You should be able to attach .xlsx files now. Having a preference to not automoatically add Answers threads I comment or answer on to my Activity feed would be great. I click the unfollow (or whatever it is called) box literally every time I am adding a comment or answer. Just having a one time preference to have the default be off and then I can switch on as I wish would be nice. Being able to choose what I get e-mail notifications about. At the moment it seems I can just either switch them on or off so I switched them off because I don't want to get spammed about stuff from Matlab Answers, but I would like to have e-mail notifications on for a couple of File Exchange submissions that I follow. I tend to never use my Activity Feed (mostly for the reason above as I don't always remember to untick the follow option) so don't see updates on these toolboxes I am using. That all seem reasonable, For your second point, the simplest would be to have a tick box next to each item in the expandable list that you get when you click on See emailed activity details. Yeah, but ya' gotsa' do it every stinkin' time...which is patently annoying and rude can't set the preference. Hence, like Adam, I pay no attention at all to activity feed 'cuz it's mostly/almost entirely noise don't care about and have the email notification 'off' as well. @TADA - Yep, I click that (almost) every time I respond to a thread (and when I don't it's because I forgot), hence my request! +1 I agree with the preference thing, and the point about granular email notification control. It would also be nice to have a way of keeping track of unread threads. Sometimes a comment/thread gets drowned in the activity feed (for those of us who do use it). When Activity Feed was put in place, there was a preference about whether you wanted to automatically subscribe or not . I cannot seem to find that preference now. I looked for one straight away when it was introduced, and did actually mention it in feedback to the Devs when they e-mailed us editors back at that time, but I've only just got around to complaining about it in this thread now, after clicking Unfollow a few thousand times! My usual modus operandi on visiting Answers is to head straight to My Matlab Answers -> My Answers to check up on any that had activity either since I last checked or if it was my activity in which case obviously I know there is nothing new. Then I do the same for My Comments. Occasionally I check My Questions too, although not often if I haven't asked one in a while. Finally I hit Browse and look at the first page (occasionally, but rarely, the second) to see what is new. What I would like to use my activity feed for is question threads that I find interesting for some reason, whether or not I have contributed. It gets cluttered so fast though if I forget to unfollow even a handful of threads I comment in or answer so I've never developed a habit of using Activity Feed as I'd like to. I contribute to far fewer threads than you in general though so checking My answers and My Comments doesn't usually take long since my last login. And that is precisely why a thread-view for the activity feed would be useful. That way you don't have to post a comment in order to get it in your My Comments list, but you avoid the level of detail that the activity feed provides. Personally I don't understand why the extremely detailed recent activity feed is exposed to users as well. What is difficult as Walter points out is that once have answered as many as even I, a search limited to your own Answers can't seem to find ones you remember you wrote on a given subject that would be useful to link to...so they still go into oblivion. That's interesting. I used to have the same workflow (check My Answers and My Comments) but when the activity feed was introduced I ditched that and now use the activity feed exclusively. Yes, I wish it was more compact (in particular, collapse multiple consecutive edits into just one change) but for me it works well enough. The fact TMW still hasn't done anything about the waste of space so that one has to page and page and page to get to anything beyond the first 50 means I just don't. Mathworks has to go through a fairly rigid process to make change to the website so it takes time. But they are listening to us. With regards to searching on Answers, yes it's pretty much useless, it can never find what I'm looking for. Google is actually more often useful than mathwork's own search. On the main Answers web page, the "Recently Added" view, to the right of "Sort by", there is now "View:" followed by two icons. Click the right hand one to get the view that uses less space. so that I can catch updates to old questions that I might have missed... especially for ones that are from before October 2017 when the subscription service went live. How many time have folk encountered a question that is useful or interesting and they won't too keep track of it, but don't necessarily have a comment or answer to contribute? Basically a mechanism that allows you to follow a question, without having to answer it or comment on it, or bookmark it in your browser. An extra option, called "My Following", in the "My MATLAB Answers" menu would be an obvious place to link to a list of threads that you are following. Obviously, an "Unfollow" option would be needed too. Should following generate email notice of updates? I would say that having the option to get email alerts would be useful. Far too often the original poster posts a new "Answer" to a question posed by someone in a Answer or Comment, instead of replying to that specific Answer or Comment where the question was posed. I suggest that the "Answer this question" caption be changed to mention the original poster, like "Answer the original question by Walter Roberson". Hopefully that will lessen the number of times people answer their own question when they should be replying to someone else. I'd also like to see "Comment" be changed to "Reply" to be consistent with the wording used in almost all other online forums. I don't think it would be necessary to make askers say yes to these questions forever, but it may get rules of etiquette and effectiveness into their heads if they have to think about their questions the first few times posting on the forum. For people who don't check the "Allow users to contact me securely" option in their profile, there could/ should be a button that allows us to send them an automated message "there has been some activity on your thread" (and e.g. a field or drop down for us to enter/select a thread ID). The rational is that if someone wants time from us, it should be acknowledged/imposed that he/she accepts to receive reminders about open threads or just about added comments. This may help reducing the amount of questions for which the person asking never comes back (if only for saying that he/she doesn't need an answer anymore). Some option for sending electric shocks remotely would be nice too.. Unless contributors have manually disabled email alerts, your wish has been fulfilled. Hopefully this is still work in progress, but the options for asking a question are a little odd at the moment. I notice that 'Release' has been added as a field which is great, but it is disabled until you enter a Matlab Product, which itself is not compulsory and is rarely filled in by people. The ability to ask the question is enabled straight away, without tags, product or release so why is release disabled until you enter a product? It just means that one of the most useful pieces of information for a question is very unlikely to be filled in most of the time. The problem with including a function now, is that you'll have to wrap it in a try-catch block. I wouldn't have a clue what it meant though if Matlab Answers started showing version as 8.2 and I wouldn't waste my time trying to work out which release that equates to, I'd just ignore it, especially since every toolbox has its own version numbers that are different for a single release. Sorry, I thought you were talking about the MATLAB release in MATLAB, rather than the MATLAB Release when posting a question to the Answers forum. In the past few days we've talked with the MATLAB Central web developers about the release thing, including my peeve, the existing release number vanishing if I add a toolbox to the product list. Hopefully these are on their to-do list. Image Analyst, I know this is a bit of an aside since the original question dealt with specifying release when asking a question on Answers, but the version number of a product is not necessarily representable as one number. For example, in release R2018a Global Optimization Toolbox has version number 3.4.4. Concatenating the individual digits is not a good alternative, as products with versions 11.1, 1.11, and 1.1.1 would all be represented as 111. Side note: I created a Question a couple of days ago. The Tag was mandatory. Steven, I didn't know about that function. It could be made useful. To be useful it would also have to take Ryear strings. Why can't it? We mostly deal with the Ryear release strings, not the actual numeric version numbers. For example I might know I have R2018a but have no idea if it's version 9.3 or 9.4 or 9.5.1.2 or whatever. Why can't the version input from that verLessThan() function take release strings? Then it might actually be convenient and useful. I've added that request into the enhancement database with a link to this discussion. (Answers dev) Thank you for the feedback. The reason that release is not enabled until a product is selected is because, there are many products that do not exist in certain releases of MATLAB(for instance Text Analytics Toolbox was only introduced in R2017b). Selecting a product or (multiple products) enables us to filter the release drop-down with only the releases that all the selected products exist/existed in. This helps maintain valid combination of products and release for each question. What percentage of questions actually include a product though? It seems to me very rare that people bother to include the product (all the more so if we exclude the cases where the product is just 'Matlab', in which case no filtering would happen anyway). For example, as a very small sample, of the 50 questions on the front page as I type this, just 4 include a Product field other than Matlab and another 7 have the Product as Matlab. Given how useful the information given by the release version is this doesn't seem to be a worthwhile trade-off for 8% of questions (albeit a very small sample, as mentioned!). Does the release need to be filtered? Surely people will select the correct release anyway if they select it at all (or it could default to the latest, which is presumably valid for all toolboxes). Either that or force people to include the product too before being able to ask a question would be good. This is a new feature and we will consider updating it as we continue to get input from the community. Based on your suggestion, we will explore the possibilities of making Product a required field. With respect to the release drop-down being filtered, we do think this is important as it provides users with a smaller, pre-filtered list that is easier to use. Thank you again for taking the time to give us feedback on this feature. Most of the time I can deduce the Product(s) involved based upon the question and function names mentioned. Not always, as there are some products I seldom look at, and also details like which exact SimEvent specialization (such Simscape Multibody) is not always clear. It is a lot more useful to know the user's MATLAB release. Instead of filtering release based upon product, filter product based upon release. But don't throw away the release like you do now. For example if someone said they're using MATLAB R2016b and I decide to add a toolbox to the product list, now the release vanishes! Even if that toolbox existed in that release. So now if I add a toolbox, I have to remember what the release is so I can add it back in. If we moderators forgot the release and just added the toolbox, now the release info is gone. Obviously not a good situation. We appreciate all the great feedback around the release field and will consider these suggestions when we revisit this feature. Is it worth having "Full Suite" as a separate product when it is at best an obscure name for a campus-wide license (referenced that way only once that I can see) ?. I see there is also "Standard Suite". It looks to me as if "Standard Suite" and "Full Suite" are the two Student bundles, rather than products. I was reminded of this discussion again today on seeing this question. Most of the time people still simply don't include version information in any form, but when someone here is explicitly adding it into his question text it is surely a clear sign that the method for including this information via the dropdown lists is fundamentally not working. I really hope this is being strongly considered for redesign because version information is so fundamental it should be in every question and should be so obvious how to do it (or compulsory) when asking a question that even a total newbie to the forum can easily add the information. To take another very quick sample, 6 months on, at a rough count ~15% of the first 100 questions currently on the first 2 pages of questions have a Product entered that isn't Matlab and 21% include Matlab as the only product. It is maybe better than it was, but still not good for the use case of having to enter the product before it suggests valid releases (given that, as mentioned earlier, every release is valid when the product is just 'Matlab'). A while back I read in some help page for the Answers forum that a referrence to a function should be the name in monospace with a hyperlink to the doc page. It would be helpful to have this automated via a button in the 'insert' part of the toolbar (complete with the doc-page search bar). +1 on both...particularly for some of our non-native English speakers, it might help significantly in clarity of posing their Q?. I have noticed that Firefox on desktop and Android do not recognize the input area as being text areas, which is probably why the spell checker is not active. I have already complained on the answers-editor mailing list (not sure you're on it Rik) that hyperlinking to the doc is now a lot more complicated than it used to be. Certainly, now I don't bother making the hyperlink monospace. Too many keypresses required. I will keep on complaining until it's fixed. II noticed that on desktop that if you type <> around a plain url then it is converted to a link, but that the old syntax of <url text> is not supported . Neither one appears to work with mobile . I don't know how I missed it the first time I looked at it, but in the help page there is a list of keyboard shortcuts. It list 3 different methods of inserting urls. The old <url text> is now [text](url). This voids my main issue with inserting urls with the new editor. I just have to get used to the new shortcuts. I still think that the url field in the CTRL+K dialog box is much too short. I also think that the pop-up that shows the target when you hover a url in a post is much too narrow, wrapping a long url over many lines, making it much harder to decipher. Por-tip: if you want to use a copy-pasted comment, you need to finish the keyboard shortcuts yourself. So pasting in a full [label](url) will not work, but if you only paste in [label](url and then type the close paren it does work. The old <url text> is now [text](url). I fail to understand why there was any need to do that. And why both "underscore-text-underscore" and "star-text-star" yield italicized text instead of italicized and bold, respectively, is hard to follow reasoning behind??? When making a response (Answer or Comment) to a topic originated by Mathworks Support, the browser will almost always time out, with the "Saving" notification going back to "Submit" as if the response had not been saved. This leads people to click Submit again, often several times. Usually the response does get saved, so we end up with one copy of the response for each time the person clicked Submit, but at least once for me the response did not get saved. My work-around now is to select my response and Copy it in my browser and then refresh the page to see if the response did get posted, and if not then Paste and try again. You can use Lazarus https://addons.mozilla.org/en-US/firefox/addon/lazarus-form-recovery/ to avoid copying to the clipboard. Simply right click, select Recover Text, and pick the recent text that you typed in. It stores around 20 prior texts you entered and you can just pick one and have it enter it again. It's like it automatically saves your message after every keystroke to it's own private collection of clipboards. "Lazarus Forms Recovery could not be verified for Firefox. Proceed with caution"
It worked for me in the past, but I stopped paying attention to it partly because Lazarus has never worked with Google+. And now I can't bring up the manufacturer's page. I use Firefox for pretty much everything. ‘Lazarus’ installed without problems (or notifications from Norton) on Firefox 40.0.2 (the latest version) earlier this morning. I’ve not used it yet. @Image Analyst, thanks for the link! Firefox evolved into aa security model that does not support Lazarus unfortunately . to select postings in I had contributed but I was not the most recent contributor. Especially if this was combined with my proposed sortby:newest I could be filtering down to things that have been recently updated by someone other than me. This seems to have been something that changed in the last few days. Why has the 'Home' link on Matlab Answers suddenly changed to take me to a page I find useless? For the last year I have been here I have clicked on 'Home' as my standard way of returning to the full unfiltered list of all questions. I browse this sometimes to answer one and sometimes because the question is of interest and I want to read someone's answer. Now this link takes me to a page where I have to click to 'Ask a Question', 'Answer a Question', read 'Top Questions' or 'Try Answering These'. This is very annoying. It does at least seem that when I clock 'Go' next to 'Answer a Question' that this does now take me to the unfiltered list (yesterday it was taking me to a filtered list of only unanswered questions), but I'd still prefer that 'Home' takes me to the Matlab Answers page of all questions as it intuitively should. There was an update within the last couple of days designed to make it easier for new users to find information. If you go directly to the old location (such as by bookmark) then you will continue to have the same interface as before. The location is http://www.mathworks.com/matlabcentral/answers or as appropriate for your country. The new interface has a /index on the end of that. Yeah, I do have the main page bookmarked so that does still work, I guess I just have to get used to going to my bookmarks instead of 'Home' now. From ‘Home’, in the upper left, click on ‘My MATLAB Answers’, then right-click on ‘My Answers’ then ‘Open Link in New Tab’ to create a new tab with all your Answers in the ‘old’ format. Then bookmark that. The problem is that is just answers I have given. I use those links a lot to keep track of any replies to questions I have given an answer to or commented on, but to do something as simple as go to the full unfiltered list of questions it seems there is now no single-click link other than our own bookmarks. The 'Answer a Question' link at the top is one that filters to only unanswered ones so that is probably what I was clicking yesterday when I ended up there too. I certainly agree that ‘Answers’ now is definitely worse than it was a year ago, before TMW started ‘improving’ it. I don’t understand the reason for all the changes. It wasn’t ‘broken’, so no ‘fixes’ were necessary. IMO it was broke, just "less broke"... :) (or :( more realistically, I guess). where the first takes me to the UK Answers page, the second to the Guide to Tags, the third to the FAQ, the next to the Answer about formatting with markup, the next to the Answer about how to ask a good question, the next to the FAQ about looping over files, and so on. The UK one I click on to start my session; the other ones I drag into an Answer or Comment to copy in the appropriate link. Good idea to mark the FAQ's, etc., ... I've been too lazy on the front end but should. Thanks for all the great feedback. I’m the new Community Product Marketing Manager, and appreciate your insight into new features and designs. Hoping I can shed more light on the “why” behind the new landing page. The new landing page is designed to orient new and casual users to Answers. Historically, we saw a very high abandonment rate by newer users clicking on the “home” button. When we examined other Q&A forums in the industry, it appeared that other websites were friendly in introducing the forum, and welcoming new visitors. The page was designed with this goal in mind. We’re hoping the question autosuggest feature will also cut down on duplicate questions and that the ‘Get Started’ tips will help novice users ask better questions. The URL for past home page did not and will not change; we did this so any bookmarks and workflows would remain intact. Thanks again for your thoughts. We plan to add some features in future releases that we think will be of interest to you. Please continue to share, either publicly or my messaging me directly. Chen, besides not fixing the old bugs (like the wrongly scrolled bug which is most annoying), the new design has made it less convenient for power users. So I used to be able to click Home and see all the posts in the Answers forum. Now Home doesn't do that, and that's fine - I can get used to it. I found I could do "Answer a Question" to get the complete list - well at least for a few days it did, but now it seems that when you click that, it filters it by returning only questions that have no answers at all. So, how do I see the complete list now? It seems the only way is to click "Answer a Question" and then click the X to remove the "unanswered" tag. There doesn't seem to be any other way (that I've found out about, other than setting a bookmark) for a user to go directly and immediately to the complete list (the "Recently Added" list). What is the expected process that a user is supposed to do to get to that? Because now it seems kind of roundabout and non-intuitive. Good to hear a response. I can accept 'Home' changing and anything that might guide a new user to asking questions more easily, but there must be room in amongst the links at the top to just add a new link that takes us back to the old home page. I am getting used to using my bookmark now, but it's not the most convenient method to navigate around what is really a single site to have to keep clicking my bookmarks. I'm not sure what such an option would be named, but if it simply exists I don't really care what it is named! Well, as of the last few minutes, the saved link to "unanswered" I've used to get to the list needing answers responds w/ 404. I'm not wasting time going thru the whole front page every time so unless and until it comes back I guess I'll be limiting my support to cs-sm. I've probably been the most vocal about the forum interface being too frilly as opposed to functional, but this is just absurd now that the ones who support the requestors the most are the most penalized in making their pro bono work even more difficult and costly to them. ADDENDUM That symptom seems, perhaps, to have been a function of the server rather than solid; didn't last over a few hours. I still hold to the follow-on thought re: power users being unduly taken advantage of their generosity by TMW. Hi, I apologize for the inconvenience. One of the goals of this new landing page is to reduce power users’ workload by educating new users and cutting down duplicate questions. Another goal is to provide recognition to power users. That's why we list top contributors on new landing page. Also new users can follow you in future. However, we overlooked that power users do come to the complete list very often. We are organizing meetings to discuss the solutions and, more importantly,improved process to avoid similar incidents. I’ll get back to you once we have results. Thanks for all the great feedback and we really appreciate your contributions to our community. Well, since you seem to be relatively new to the forum, I'll recast my thought again that imo for the power user there ought to be a format that looks very much like a regular newsgroup with navigation thru a series of threads directly w/o having to page back and forth one at a time. It would be ideal if the forum feed could be cast into nntp protocol so a regular newsreader could be used to make straight edits and answer questions, etc., with a news client but that's likely not feasible. It would be a goal to produce a similar interface, however. "...is to reduce power users’ workload by educating new users and cutting down duplicate questions"
Both of those are generalizations, of course, and there are certainly some users for which they aren't true but I'd venture it describes a high fraction of the new/newer users you describe as targets above. I don't know if can find the previous remarks easily or not; there are some other issues I see with the concept that basically limit the possiblity of it ever really fulfilling the initial concept of being a more reusable database and not, in essence, a parallel usenet group. I don't disagree it's a noble concept, just don't think it's possible w/o much more organized oversight/moderation to basically normalize remaining database entries, particularly in areas of rigor re: tags, formatting and content of titles, etc. What would be of benefit possibly would be a composite FAQ of more extensive content than the present that could be referred to by the frequent responders more readily as links. Walter pointed out he's saved a personal library of his answers in his local bookmark file; if there were a way to make general use of that kind of tool so that could be viewed and referred to by others and be a compendium of "the best of Forum". As is, I've been too lazy and so go look up #3A at the FAQ multiple times but quite often I simply ignore the question rather than bother as it's not handy. And, yea, some of that is my fault for not having Walter's discipline, but if it were more integrated into the Forum it might have a chance to be of some actual use for the intended purpose. Hi Image Analyst, there is a fix currently in test for the bug you mentioned. It is supposed to be in our next release. We started working on that in July but it's not a simple fix. Thanks for your understanding.To dpb, thanks again for your great feedback. 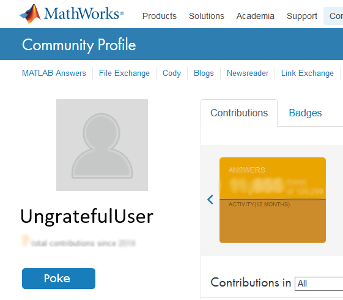 it is nice to see Mathworks recognizing us. But I can think of other forms of recognition that might be more appreciated. For example: bling; free licenses (or at least free SMS renewal); better (heck, some) communications with the developers; some communications with Sales (since we end up being the people who have to talk about rights on multiple computers and transfer rights and "Why" something is allowed or not); a mechanism for us to be able to point to a topic and say "Ummm, this is really getting to be a long term problem, please have someone address it publicly". People come here angry or worried and we as volunteers have to resort to "Don't ask us, we're just mushrooms here." If you need a standard for the free licenses then you could for example say that "Each 3000 reputation (full editor privileges equivalent) earned is worth a license renewal; I count 10 non-Mathworks who have reached that level once, 2 twice that, 1 triple, 2 quads, 1 octuple, and 1 duodecal. Adjust the level requirements as needed if that is too many. If you are going to "recognize" us on the landing page, please rotate it a bit so that it isn't always the same three of us. 1+floor(abs(randn*50)) perhaps. Following I guess I can live with. But one form of recognition that I do not need is even more students sending me personal messages expecting me to do their major assignment for them. And I worry that will happen even more if I'm right there on the main page all the time. (particularly on the last point; I hadn't looked at the new landing page before; I'm not all that sure either that's the right kind of "recognition". @Walter — I’d vote for your most recent Comment if I could. 2. I certainly support your criteria for free licenses. Renewing is getting to be a significant financial crunch every Spring. 3. Being #5 at this point, I’m thankfully over the horizon. Only #1-#4 are displayed on the Home page I see. 5. I ‘hide’ my contact information in my File Exchange profile, because I want to know if any of my File Exchange contributions have problems. (I am not really interested in random emails from many too-easily-frustrated Answers posters.) By my criteria, anyone from ‘Answers’ who is energetic, ingenious, and motivated enough to think to track me through my File Exchange profile deserves some sort of a reply! Hi Walter, thanks for the great thoughts. I would also vote if I could. :) Your feedback are very valuable for us to design our long term strategy and prioritize winning moves. I'll bring them to the community team. Power users will hear from us in next few weeks. Sometimes I see the backward compatibility of Matlab very critically, e.g. when base functions as fopen or strncmp change their behavior without a hint in the release notes. Getting a free Matlab license will have an influence on my mind, or at least on the way I express myself in the public forum. In opposite to gifts, which mean a big finanviel advantage, I'd appreciate the oportunity to contact the developers directly. (Answers dev) The new "Browse" link in the subnav menu works to take you to the old home page without filters on. I admit, that I have problems to understand the meaning of the new landing page. I'm simply confused by the offered information. Therefore I assume, that this page does not support newcomers to improve the handling of the forum. E.g. I see a list of "popular tags", which contains the terms "matlab", "matlab code" and "error". To improve the usage of the forum it would be much better to mention, that these terms are useless for the purpose of the tags. Newcomers are still not instructed to use code formatting. In consequence the high reputations users spend time for editing questions and post instructions. This is a waste of power. Mentioning the FAQ on the landing page would be a shortcut also. I do not think, that new users need to recognize users with a high reputation. They will recognize a valid answer, even if it was posted by another newcomer. I have had difficulty with new users not recognizing valid answers. New users tend to "know" that they are right, and that we are "hiding" the real answer from them, or that we are ignorant and do not know the real answer, or that obviously the fact their code does not work is a bug in MATLAB that will be fixed and a new release issued in 10 minutes. Convincing new users that MATLAB is right (or self-consistent) and their understanding is at fault is not always easy. Thanks, Jan Simon. The new landing page will get better with great thoughts from power users like you. To your code formatting point, I'm thinking if we can also have this mentoring on the "ask a question' page. @Walter: Over 6800 times users recognized your answers as valid and useful. I'm convinced, that they did so, because of the validity of your answers, and not due to the estimation of the other 6799 accepted answers. We will you update you when each feature is closer to release. In the meantime, please continue to post new ideas, enhancements, and problems within this thread. I discourage an Unaccept option, and welcome the Multiple Accept option. I would add a large down arrow to ‘Accept this answer’ to make it more obvious the answer the person is accepting. That may be the most common reason people apologise for accepting the wrong answer. An alternative would be to put ‘Accept this answer’ to the left side of the answer (with a right arrow). I guess the thought is if somebody adds another later and think it's the winner but I wouldn't argue w/ not having the facility either. Every once in a while, someone accidentally Accepts an answer they did not mean to accept; there is a need for someone to be able to reverse that in a timely manner. altho 1 and 2 (the editor for attacking all the code listing issues and the white space should go together as "the big red one". The biggest annoyance for me (because it affects nearly every post I open), and I know Rena knows about it so hopefully they'll get to it soon, is the scrolling bug. Where when you click on the "Answered by" link, the part of the thread you wanted to see is scrolled above the viewport so you have to scroll up to see it. Number two would be having to click two buttons to attach a file instead of just one (this is why at least half of posts don't have the attachment the author thought they attached). @Walter — If the ‘Unaccept’ option is enabled I would continue to credit 4 points permanently for any answer that is Accepted, even if the OP later Unaccepts it. Accepting other answers would be open to the OP immediately, and to others with appropriate privileges, just as Answering is now. dbp, the behavior of the latest activity links for in page updates should have been fixed as of 11/11/2015. Please let me know if you are still seeing this behavior. That's a big ditto here, too, Star. I see no changes in any view I ever look at that the "Edited by" isn't ever an active link so lose the direct access to anything except the question itself until somebody else adds a new comment...I also am on Firefox if it matters (but it shouldn't; coding should be browser-neutral). (Answers Developer) I misunderstood. The update fixed all of the answered by, commented on, etc for in page edits (ex: submitting a comment or answer). The "Edited by" links were not touched. I will submit a bug fix request to get the "Edited by" links to point to what was edited. Sorry for the confusion. The difficulty of the web format and the "Latest Activity" is that unlike a newsreader that keeps track of what is Read/Unread for each user in their client and lets them follow a thread of interest by skipping from one unread response subthread to the next, all that a user here sees is the last activity on a thread and all kinds of stuff may have gone on unbeknownst to them since their last foray. It's either ignore that or one has to reread each thread essentially in toto every time there's any activity to see what else went on in the meantime. @Rena — Appreciate the new active link to ‘Edited by’! Star Strider You beat me to it :) I was going to have great satisfaction announcing this tomorrow. Enjoy! Well, not completely satisfied here. I was answering a question when, around 5:15 today you took the site down for planned maintenance. Thanks to Lazarus I recovered my message and mailed it to to myself at home. Now that Answers is back online, the message I was answering is not there. In fact a lot are missing. It goes from 10 hours ago to 15 hours ago in the responses. Now I know there were a bunch of responses during that time-- that was morning on a Wednesday, a busy time. In fact here is one I answered earlier today and doesn't show up on the complete list at the 5 hours ago slot. I got this from a list of my answered questions. There are 4 others on that list that I answered during that time and they are nowhere to be found on the main "complete" list. Why not? The ordering by recently updated is messed up; I reported this to answers-editors a short time after the system came back after the upgrade. The Recent Activity list appears to have been updated okay. I do not know anything about whether Questions themselves disappeared; you would need to know the question number to check. It would be extremely helpful to have several hours notice of ‘Planned Maintenance’ shutdowns. I refresh the Answers page fairly often during the day, and would notice a banner warning of a scheduled shutdown. I notice the spam test is still overly sensitive; Rena's response above was caught in Possible Spam limbo until I noticed it. Chen Ling sent out an announcement to Answers Editors about noon Eastern time for a roughly 5 pm Eastern downtime. I didn’t get any email in either my primary account that TMW has as my primary email, or my ‘gmail’ account (linked to my File Exchange profile). I must not have made the cut. I don't remember seeing any email in either of my two accounts either. I think a yellow banner across the top for at least 8 hours prior announcing any planned shutdown would be better. Tell EVERYONE who uses Answers about a scheduled shutdown, not just a selected subset of Editors. @Star Strider, @Image Analyst : I just found we had an outdated email list. We'll fix it. Thanks for the idea about notification. It would be part of our Notifications project. Please continue to share your ideas about the new release within this thread. Thank you! (Answers dev) The missing questions issue has been taken care of. I am certainly enjoying the fixed EditedBy links...now, is there any hope on the excess white-space and other organization-aid issues? (Answers dev) Glad you are enjoying the edited by links :) We’re working on the spacing issues. (Answers dev) We released the answer unacceptance feature on 4/13/2016. Questioners may now unaccept answers. Other users with 500+ reputation may unaccept answers after 7 days. Please note that no points are removed from the answerer's reputation via unacceptance. I would personally like some control over notifications, just as is possible in the FEX. These do not have to be e-mails, but can also be in-site notifications. 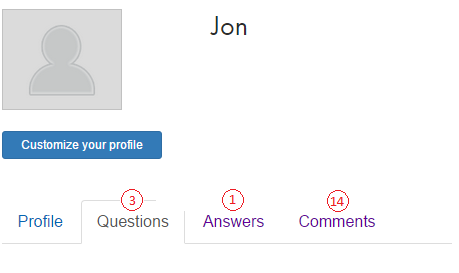 Now I have to go to "My answers" and "My comments" separately and see if the last activity is from a later date than my last visit. I would like an email notification when comments are added to my question, and not just when answers are added. The comments are often asking for clarifications which people need to answer my question, and if I'm not notified about the comments, the question just sits there until I remember to check it. And I would love to not get e-mails when someone unaccepts my answer. I switched off e-mail notifications, yet these somehow get through the net and are totally irrelevant to me! Not so much a wish, just an oddity I noticed. I set my profile to not allow me to be contactable by e-mail etc and I deselect the option to e-mail me when someone answers my questions so in general I don't get any e-mails from the forum which is as I want it. Except..when someone unaccepts one of my answers I get sent an e-mail. Of all the things I might want e-mails about if I chose to this really isn't high on the list. I'd rather get an e-mail when someone accepts my answer instead if I really were to want e-mailing when someone makes some response to something I posted! I first noticed them this morning on my home computer, and then again at work. Then they went away for most of the day, then they came back at work. And now at home they're here also. Rena suggested I clear my cache but that didn't fix the problem. I was just wondering if anyone else is seeing them too. I'm using Firefox. It's back to normal now. It comes and goes, but just started today for me. I don't know why it's intermittent on multiple systems. I’ve noticed it before today from time to time. It comes and goes randomly and intermittently on Firefox. It only affects the icons, not the text next to them, so it seems to be an aesthetic problem only. Everything else works, so I can live with it. 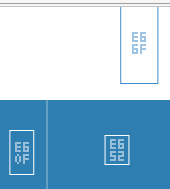 I just get little empty squares in place of icons from time to time recently, but not anything with letters in. (Answers dev) We are looking into this. This workaround seems to work for me. The icons are back to normal. I just hope that once I go to https, it keeps using that and doesn't switch back to http. So far, so good. Using https:// seems to work for me as well. (Answers dev) I have just received word that it should now be fixed on http://www.mathworks.com. Please let David Wey know if you see further issues.